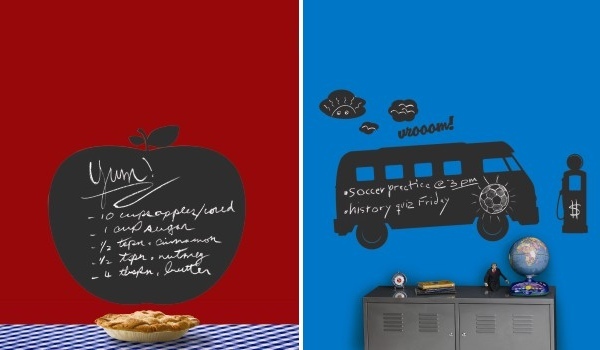 Two hot new designs of Wallcandy chalkboard stickers have just been released. My favourite is the apple, but of course my boys would go mad for the bus set complete with petrol bowser! We featured Wallcandy’s blackboard stickers way back in December 2006 and we still think they’re perfectly quirky family noticeboards or doodle stations for toddlers and kids. The bus is US$56 and the apple is US$36 if you’re buying from the States. We’re hoping local site Top 3 by Design will receive them soon!